Simple Habit is a meditation application that allows busy people to fit meditation around their schedule. 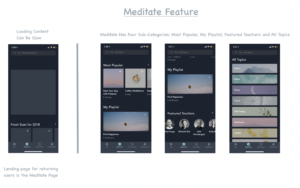 Users can choose from over 1,000 different meditations, create playlists, comment on posts and share meditations. 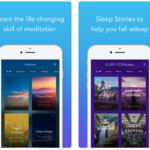 The app is free, but in order to have the full experience, users must pay a subscription to unlock and download all meditations. help them prepare for an exam. Hence, the app looks beyond why people are downloading the app, which is in this case to meditate, and goes further by looking at the root cause of why they are trying to meditate. The app aims to immerse users in the task of meditation, in order for that to happen users must enter a “flow” state. As cited in Norman, Mihaly Csikszentmihalyi found that for people to enter a state of emersion or “flow” with a task, the task can’t be too difficult or too easy. If it’s not challenging enough, it can be boring, and if it’s too hard, it can put users off. Moreover, when it’s difficult, it can lead to Learned Helplessness. I for one believed that I couldn’t meditate and twenty minutes sitting and hearing myself breathe was impossible. However, the application provided different lengths of mediations including five-minute meditations. The app thus allowed users to match their desired level of difficulties. The different lengths of meditations cater not only to users with limited time but also for users like myself who do not have the skill set to meditate for longer periods of time. When users first download the app, there is a forcing function that makes users register before entering the app. Norman defines forcing functions as “situations in which the actions are constrained so that failure at one stage prevents the next step from happening” (Norman, Pg. 141). In this case, the situation occurs when users first download the app. 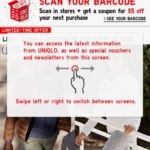 Users are prevented from entering the app before registering. 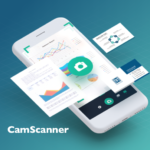 The app’s purpose of creating this function is to ensure all users are registered. When using products, users face two main Gulfs, the Gulf of Execution and the Gulf of Evaluation. The Gulf of Evaluation is when users try to understand what state they are in and whether their actions were successful. The app addresses the Gulf of Evaluation by providing feedback and letting users know their actions were successful. 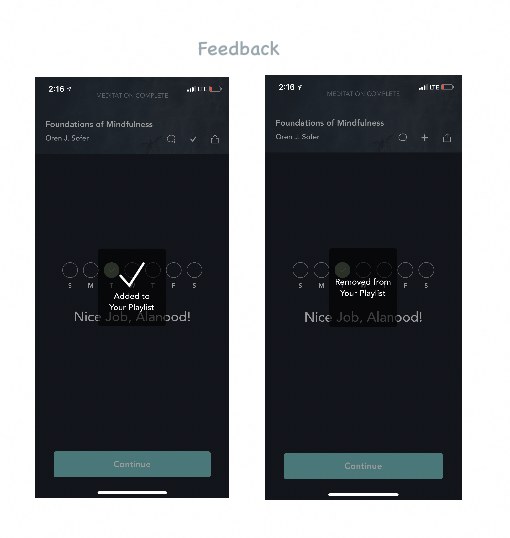 For example, when users add or remove meditations to their own playlist, a feedback notification pops-up confirming the user’s action. Users are people, and people can easily get very busy or distracted. As Norman’s book states, people can get so distracted that it can cause errors and mistakes. In Simple Habit, getting distracted by the real world can cause users to forget where they are in the meditation and thus users need to restart or rewind the meditation.  There is a visible affordance for users who get distracted to press pause and then resume the meditation. The app has no signifiers highlighting a rewind / forward button. However, the affordance to rewind or move forward is there for users. 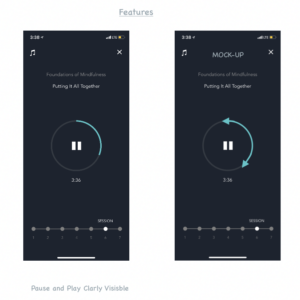 One way the app can improve is by adding a rewind and forward icon when playing meditations, which would let users know about the existing feature. Within the app, there are cases where the app has successfully bridged the Gulf of Execution by using signifiers. For example, Simple Habit prompts users with a proposed search term in the search bar. This provides users with a better understanding of how the feature can be used and thus bridges the Gulf of Execution. 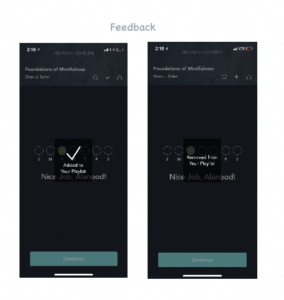 The app also uses feedforward by answering users questions regarding the features of the app by providing informative slides on the application’s features when users first download the app. The application provides users with the tools to add reminders and set an alarm. By putting reminders on their phone and putting the knowledge in the world, users are less likely to forget to meditate. Norman states electronic reminders are invisible and thus need to be constantly on the screen to remind users. If the notification disappears immediately, users will simply rely on knowledge in the head to remind them of the reminder. 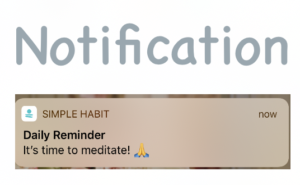 The notifications by Simple Habit’s reminders do not disappear from the home screen/notifications center until the user swipes it. One of the drawbacks of the app is that it has too many features. 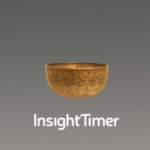 The app includes most if not all the features available in other meditation applications. The reason behind why Simple Habit decided to include so many features is unclear, but it may be because of competitive forces. As Norman states, sometimes designers add features simply because competitors have them. The amount of images and meditations in the app has caused the app to load slowly. Norman states that if feedback (in this case feedback that the app is loading) is taking too long “even a delay of a tenth of a second can be disconcerting. If the delay is too long, people often give up, going off to do other activities” (Norman, Pg. 23). 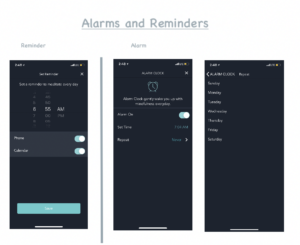 Unlike Simple Habit’s dark and packed design, competitor apps such as Pure Mind, Meditation Studio, and Headspace provide users with a lighter and cleaner app to accompany their meditative sessions. 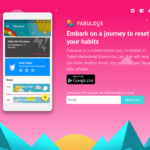 Overall Simple Habit provides a strong product for users to enjoy. 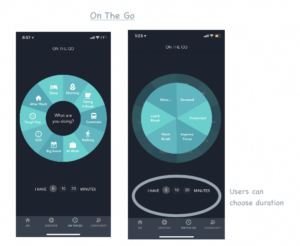 The application’s goal-oriented meditations and the ability to select different length meditations gives users a meditation that works best for them. 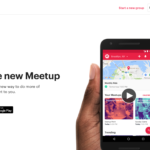 The app’s large amount of content and features is its main drawback, with so many features and meditations, the application is slow and can be seen as cluttered at best and confusing for the user at worst.